• 360° Full contact and support of the pipe wall - will not damage or distort pipe. • Restraint devices produced of high strength ductile iron, machined on CNC equipment to exacting tolerances. • “Pad To Pad” Feature - Visual indicator of correct installation. 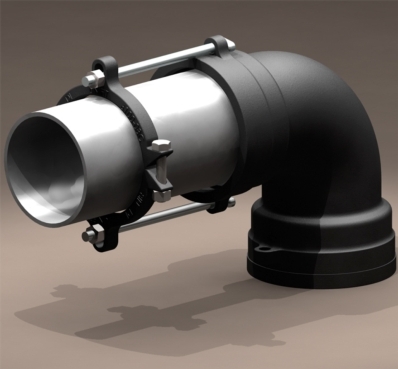 • Can be installed on new or existing pipe installations. • Rated at full rated pressure of PVC pipe, min. 2:1 safety factor.